Escucha los comentarios en vivo de tu guía en un entrenador con aire acondicionado. Disfruta de un servicio personalizado con un pequeño grupo. Pick up point was a bit of a nightmare getting to. Cost 40 Dollars in a taxi for about a 4-mile drive. Would have needed to take three buses to get there and as we didn't know the area opted for the taxi. Had we have known the price we might not have!! Anyway, once there and our other guests, total of 3 plus us 2 we headed off for our tour of Los Angeles. Andrew our tour guide was fantastic, pointing out all the different sights and catering for everyone's individual requests. We started out at Venice Beach, Santa Monica Pier, Farmers Market, Hollywood Walk of Fame and so much more. A really enjoyable day, plus Andrew kindly dropped us back at our hotel, which was close by to the end of our tour anyway!!! We had two other people with us on our 7 hour tour . Andrew was our tour guide and was excellent! He was very personable and knowledgeable about the area and all the sites that one would want to see! Sure hope that you take this tour! Would highly recommend!! Andrew was absolutely fabulous! Not only was he highly informative with a remarkable knowledge of the history of LA, he tailored the tour to suit us. We expressed interest in seeing other areas that were not specifically planned on the tour and he catered for us without difficulty. We couldn't have asked for a better tour or tour director. Thoroughly enjoyable and highly recommended. Our tour guide Ryan did an excellent job. This private tour had just my husband and I on it so it was possible to personalize the tour and see what we wanted to see. We especially enjoyed our trip to Doheny Greystone Park as my husband is a contractor and could really appreciate the workmanship and architecture of the mansion. Ryan was very flexible and accommodating. 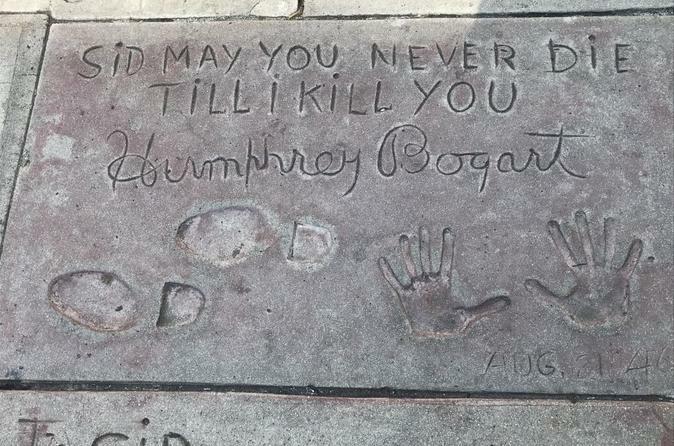 My husband and I don't usually have lunch so he grabbed a quick bite for himself while we were able to explore Sid Grauman's Chinese Theater. Since we did not want to shop he was able to make up that time by taking us directly back to our hotel. All of these extra personal touches added up to an amazing tour! This was a great tour and tons of fun! It felt like we were hanging out with a friend showing us the sights. This tour was outstanding and ten stars would be more appropriate. Our guides Andrew Renslow and Ryan whom Andrew was mentoring as a new guide were off the charts. My wife has mobility issues and they treated her like their mother. We have traveled abroad with tour guides but these guys were exceptional. We gave them what we considered a good tip but somehow felt they deserved more. Their knowledge of the LA area is excellent and was frank with no PR BS. They provided us with options and the ability to reasonably modify our tour which made it so very personal. Besides seeing the sites noted in the description, we were able to include others. 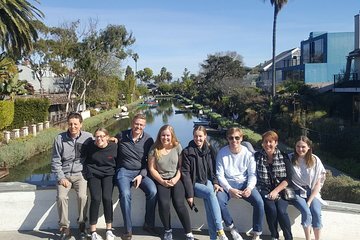 We have shared out experiences with family and friends and emphasize that if you want to know and experience the Hollywood and Beverly Hill along with the historical beach scene of Venice Beach and Santa Monica this is the tour to take. You will be blown away. Barry was very informative and friendly. We had plenty of time each stop to explore the area. Enjoyed all the fun facts and history of the area. Vehicle was comfortable and Barry supplied us with water bottles. What a great way to explore LA, I would recommend this company anytime. We love Andrew to be our tour guide. He is knowledgeable and fun to be with. We learned a lot about the place and the history of it. I'm so glad to find this tour for my family to explore LA. First let me say this trip was better than a 5 star, best way to see many sights with the information about each. Our tour ended up being private since there wasn't anyone else booked. Our guide, Andrew, was wonderful. He was interesting, energetic and highly knowledgeable along our journey. Great memories!